So many books on doing business and being an entrepreneur are filled with inspiring stories of what other people have achieved, and words of advice from people who haven't lived your life or faced the challenges, hopes and frustrations that you do. Which is why I think 'oh! 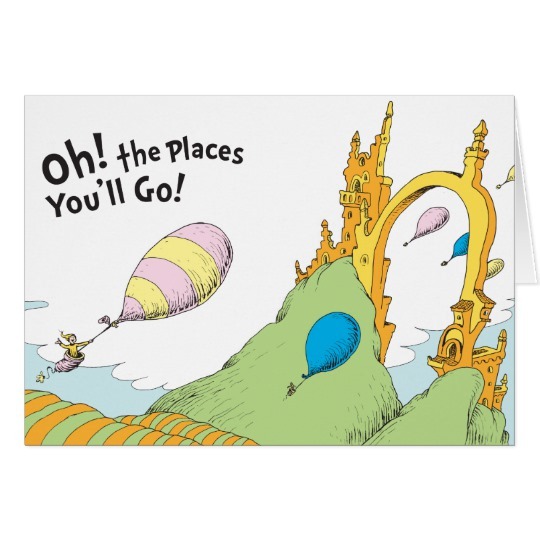 the places you'll go!' is the ideal book for any entrepreneur – it's presented from the view of a child: and children think that either everything is possible, or nothing is possible: a common mindset for entrepreneurs, freelancers, and the self-employed. And it’s also brutally honest that sometimes the best laid plans can come to naught despite our best efforts, but that somehow we'll manage to survive those tough times. There are no complex mantras to remember, complex theories or tools to memorise, and it also comes with lots of fun pictures. For all those reasons and more, this is THE book that anyone launching their own enterprise should have by their bedside.